2018 had a strong showing in the R&B (rhythm and blues) genre. Talented songwriters and performers teamed up to create some truly memorable, soulful hits. Let’s look at the year’s hottest songs and give credit where it’s due to the best R&B songwriters of 2018! 2018 saw the debut of English artist Ella Mai. Although only 24 years old, her maturity shines through her soulful voice, especially on her single “Boo’d Up.” Though hardly the only standout track she released this year (“Trip” was released in September and has been topping the R&B charts ever since), “Boo’d Up” has been nominated for Best R&B Song and Song of the Year by the Grammys. Grammy-winning artist Miguel (for “Adorn” in 2012) has been nominated multiple times before and since. Although Miguel is an R&B songwriter, he clearly enjoys collaborating with performers and songwriters who specialize in other genres. “Come Through and Chill” features rapper J. Cole with production by esteemed producer Salaam Remi. The result is an (unsurprisingly) chill track that loops a record-fuzz beat against Miguel’s somber vocals. The more recent work of Donald Glover, AKA Childish Gambino, has been igniting the hip hop world with his politically charged lyrics and spitfire delivery. Although he’s no stranger to experimenting with other styles, we see a much more subdued Glover with the hazy atmosphere of “Feels Like Summer” from his Summer Pack EP. One listen and you’ll agree that he’s continuing to show great skill as an R&B songwriter. The mysterious H.E.R., whose identity has been revealed to be 21-year-old Gabriella “Gabi” Wilson, has been making a solid run as a prolific R&B music composer, with top R&B songwriters such as Darhyl “Hey DJ” Camper Jr. lending their talents to her various EPs. Her hard work has paid off – she is nominated for five Grammys, including Album of the Year. Want to hear what the well-deserved hype is about? Check out “Focus,” a smoky single that is currently dominating the R&B charts. There’s not a person working in the R&B world who doesn’t know the name Toni Braxton. With a career that spans nearly 30 years, Braxton is among the elite class of rhythm and blues artists who are still making hits. The sultry, yet effortlessly catchy “Long As I Live” encapsulates the best of what the genre has to offer. Braxton’s powerful vocals soar over a steady beat, backed by a melodious choir and supported by an emotional guitar solo outro. The song, written by Braxton, Paul Boutin, and Antoine Dixon, is nominated for a Grammy. As you can see from the songwriter teams listed above, it can take a lot of collaborating to write a Billboard-topping hit. 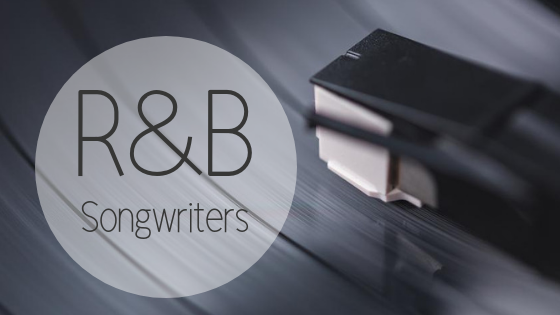 Start improving your chops as an R&B songwriter, and maybe you’ll see your name here someday! And just FYI, the 61st Annual Grammy Awards are February 10, 2019.